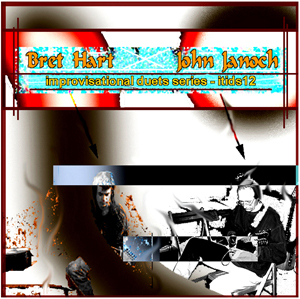 Improvisation - it's always been about placement. 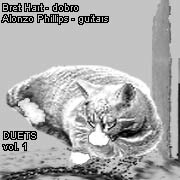 My friend Phil Sudo, author of Zen Guitar, and I never got to finish our duets project together. 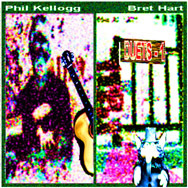 Phil lost his brave battle with stomach cancer and has moved on up. 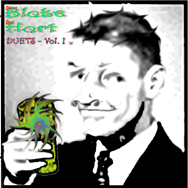 Ask yourself, "What are my extended techniques?" 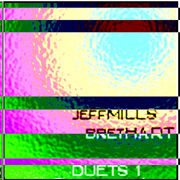 Then, exploit them to tape. 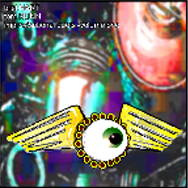 Sourcetrack by "Initiator" is improvised with/against, in real-time, during recording of response by "Finisher". 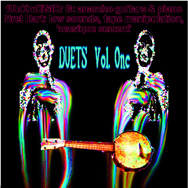 Simultaneous use of multiple instruments is great. 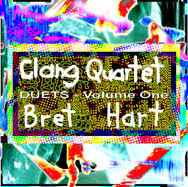 Document the mating of two distinct solo performances into a whole greater than the sum of the individual perceptions. 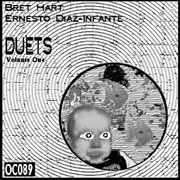 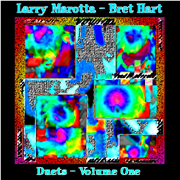 Tragic Bunny & Bret Hart: "DUETS - Volume I"
Phil Hargreaves & Bret Hart: "DUETS - Volume I"
Larry Marotta & Bret Hart: "DUETS - Volume I"
Mark Kissinger & Bret Hart: "DUETS - Volume 2"
Bret Hart & Ben Horrendous: "DUETS - Volume 2"
Bret Hart & Rotcod Zzaj: "DUETS - Volume 1"
Fred Hall & Bret Hart: "DUETS - Volume 3"
Bob Jordan & Bret Hart: "DUETS - Volume 2"
Bob Jordan & Bret Hart: "DUETS - Volume 1"
Funkmeister G & Bret Hart: "DUETS - Volume 1"
Don Campau & Bret Hart: "DUETS - Volume 2"
Hart: Strumstick, E-Bow, Can-Jo, dobro, flour sifter, etc. 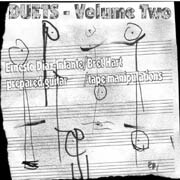 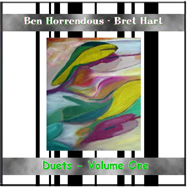 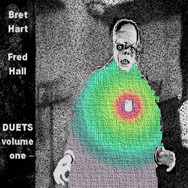 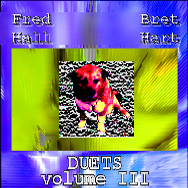 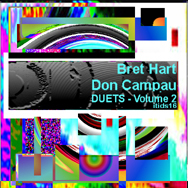 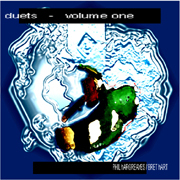 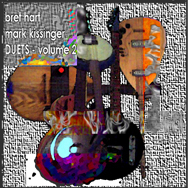 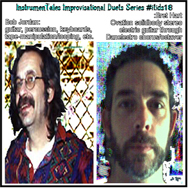 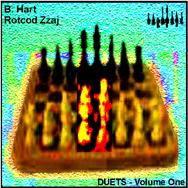 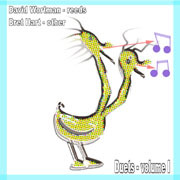 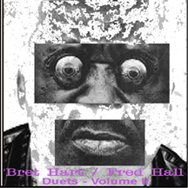 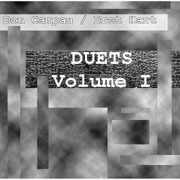 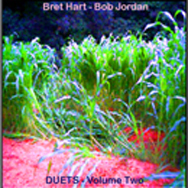 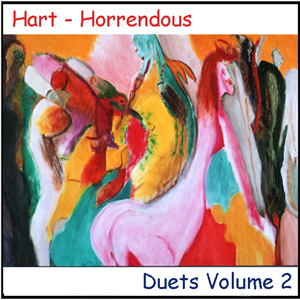 Fred Hall & Bret Hart: "DUETS - Volume 2"
Bret Hart & Tom Nunn: "DUETS - Volume I"
Tom Nunn: "T-Rodimba", "Bug-Arp", "Nailboard"
Bret Hart & John Jasnoch: "DUETS - Volume I"
Phil Kellogg & Bret Hart: "DUETS - Volume I"
Scotty Irving & Bret Hart: "DUETS - Volume I"
Scotty Irving: acoustic and electric slide guitars, E-Bow, "The Crutch"
Steve Blake & Bret Hart: "DUETS - Volume I"
Bret Hart & Benjamin Horrendous: "DUETS - Volume I"
Bret Hart & Alonzo Phillips: "DUETS - Volume I"
Fred Hall & Bret Hart: "DUETS - Volume I"
Don Campau & Bret Hart: "DUETS - Volume I"
David Wortman & Bret Hart: "DUETS - Volume I"
Mark Kissinger & Bret Hart: "DUETS - Volume I"
Ernesto Diaz-Infante & Bret Hart: "DUETS - Volume 2"
Bret Hart & Ernesto Diaz-Infante: "DUETS - Volume I"
Hey Ernesto, THANK YOU for helping kick-start this sprawling billboard for free playing!